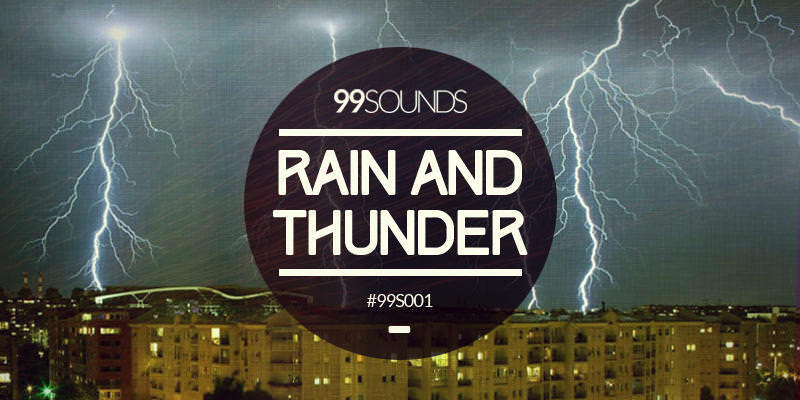 Rain And Thunder is a free sound library featuring 64 high quality audio samples which were recorded during a spring storm on the streets of Belgrade. The sounds were recorded in 24-bit depth using a portable Edirol R-09 stereo field recorder. This free sample collection contains all the sound effects you may need in order to evoke the atmosphere of a rainy day in a large city. You can hear the cars passing by on some of the recordings, tires splashing through puddles and people walking around in a hurry. The rest of the audio content was recorded in quieter parts of the city, far from the busy downtown. They also recorded the beautiful sound of raindrops falling on an umbrella, it almost sounds like vinyl noise.